“MINEX Central Asia” is recognised as the largest and most authoritative international forum on prospecting, exploration and mining in Kazakhstan and Central Asia. The «Autoforce. A special equipment of Siberia» Magazine has been a leading specialised magazine about a special equipment and lorries in Siberia. On magazine pages it is told about technologies, technical decisions, novelties, and also the information on factories-manufacturers and suppliers contains. The magazine’s readership includes: distributors and administrative bodies., top managers, proprietors of business, the main mechanics, engineers, experts in marketing, managers on a complete set, manufacturers, dealers. Our principles: an individual approach, preferential placing of articles, system of discounts. This is a quarterly magazine for the mining industry, incorporating quarrying, oil exploration and drilling; and other large scale extractive operations aimed at the discovery, extraction, storage, transport, sale and utilisation of Africa’s mineral wealth and resources. Mining Media International is a publishing house serving the international Hard Rock, Coal, Aggregate, Constructions and recycling industries. The ASIA Miner magazine and weekly e-news service is its featured Asia product focusing on mining in the Asia pacific region: With editorial content in both English and Chinese it provides extensive coverage of mining developments throughout the Asia Pacific region. As a bimonthly magazine some 5200 print copies are mailed each 2 months whilst some 17,000 digital copies are emailed. Providing a combined total of 22,000 plus reader distribution. The ASIA Miner magazine is a must for your business library; it brings to you a source of information valuable to your company and not attainable elsewhere. Hosted by China Ministry of Land & Resources and Tianjin Municipal Government, the 14th annual CHINA MINING Conference and Exhibition will be held at Tianjin Meijiang Convention Center from November 3rd to 6th, 2012. Since the first time CHINA MINING was held in 1999, the scope and influence has been extending every year. CHINA MINING Conference and Exhibition has become an annual not-to-miss event and a platform to meet the world mining players. CHINA MINING Conference and Exhibition 2011 attracted more than 5,000 delegates from 55 countries and featured 382 Exhibitors with more than 1000 booths. Since 1997 we have been developing our expertise and market connections to provide commodity market professionals and the wider investment community with dedicated research and intelligence on the commodity complex. As well as the published magazine, our online presence – commodities–now.com – provides updated news, key press releases, data, charts, research and reports dedicated to these markets. Portal DobProm.ru – mining industry of Russia and the CIS. 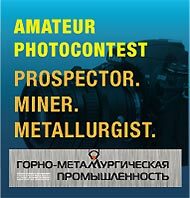 The catalogue of the enterprises, information about exhibitions, forums, conferences, the analytical information, the dictionary, news of a mining industry. Euroasia Industry provides insightful comment and in-depth reports on today’s foremost business developments, highlighting the latest trends in trade, market challenges and technological innovations in mining and other core industries. Business.KZ newspaper covers news that present interest for small and medium scale business; it provides analysis of local and international companies that operate within industrial and financial spheres of global economics, informs on amendments and alterations in the legislation on Kazakhstan. The newspaper includes stories on corporate culture and ethics, management, marketing, ecology and national health, new technologies and international expertise. Circulation of the newspaper is 7 000 copies, not fewer than 32 pages. It is produced in magazine format A3+, with full-color and two-color-pages. It is a monthly publication. Industry magazine covers news and developments n Kazakhstani and global industry, provides analysis of milestones in the industrial politics, scientifically-based projects in economics, politics, ecology and other sphere of Kazakhstan development. This publication contains image stories (or profiles) on new technologies and products produced by leading companies in Kazakhstan and abroad. Circulation of the magazine is 5 000 copies. It has 48-60 full-color pages, A4+ format. The magazines comes to the market once a month. Mission of the magazine – Helping leaders of Kazakh business expand their business relations and promote successfully in local and international markets. Being a publication for professionals, this magazine only publishes accurate and quality analytical material in the sphere of business and investment. It draws special attention to the development of the oil and gas, mining and power engineering sectors; the transport and telecommunications, financial and banking markets; agriculture and other key sectors of the economy. Our readers are captains of the economy: leaders and top managers of investment and business structures, heads of national companies and development institutions, representatives of central government agencies, members of parliament, diplomats, private investors and independent experts. Informational and analytical web portal www.investkz.com enhances the prospects of the international business magazine Kazakhstan as an informational source for domestic and international businesses. This project is aimed to develop an Internet resource dedicated to the most topical economic and business information about Kazakhstan. Interfax-Kazakhstan News Agency, part of the international group Interfax Information Services, has been working on the political and economic information market since 1996. Interfax-Kazakhstan issues daily operative news products in Russian, English, Kazakh and also sectoral reports. With the advantage of being the first and till recent the only independent mining publication of Turkey, Madencilik Türkiye Magazine (MTM), which is being published since September 2009, has attained a respected estate in the sector in a short time. Being the unique magazine in the sector with its widespread distribution network and numerous readers, Madencilik Türkiye provides an unequalled media to the companies for their advertisements. Thus advertisers can reach directly to their target customers in the mining sector. MTM targets mainly the private sector and distributed more then 2000 unique address. In addition to the Turkish publication, “Mining Turkey Magazine”, the english edition with different content, is also published biannually. “Bulletin of Mining Concessions”, free supplement of the MTM, has been serving to the investors who are looking for finance/partners to their mining concessions or projects – since October 2010. Metal Bulletin is the premium intelligence service for metals and steel professionals everywhere. Covering all global metals and steel markets, including scrap, it provides a comprehensive package of the latest news, prices, expert market commentary and statistics. Delivered to you via www.metalbulletin.com, daily email news alerts and weekly print magazine, no other information service can offer you the same frequency and depth of intelligence on the steel, non-ferrous or scrap metals as Metal Bulletin. «GORNAJA PROMYSHLENNOST» («MINING INDUSTRY») is an international specialized scientific and technical trade journal dedicated to the progress and latest engineering developments in mining, mining engineering and processing equipment, modern computer systems, scientific studies, R&D, state of the mineral resources market, experience in investments into mining both in the FSU countries and abroad. It has been published bimonthly since 1994, its circulation amounts to 3500 copies. The journal is a regular participant and sponsor of the most significant international and regional mining, geological, road-building, and other fairs and exhibitions. The readers of the journal represent mining operators, machine-building plants, scientific research centers, and trade institutes. Publishing house «Gornaya kniga» has been issuing reference and scientific books about such disciplines as mining, geology, mine surveying, geodesy, geophysics, ecology, economy for more than two decades . Several years ago new editorial staffs for construction, atomic engineering, oil and gas appeared in the publishing house. The publishing house issues 200 titles per year and makes them accessible in Russia, the CIS countries, Mongolia, Australia, Germany, other states. It takes part in joint projects with the mining companies and institutions of higher education. HighGrade is Australasia’s weekly online mining magazine delivering to readers the high-grade cut of mining industry news from around the region, and the globe. Newspaper «KAPITAL.kz» – objective and detailed information to the Reader, which will be needed for him\her to make a operative business decision. “Kazakhstan Oil, Gas and Law Journal” is the modern journal for lawyers working on the dynamic emerging oil and gas market of The Republic of Kazakhstan. It provides the comprehensive analysis of the recent changes in legislation and its further development. The readers are able to obtain the information about the challenges of subsoil use and taxation in Energy Sector as well as the arbitration practice. Scientific and technical magazine «Mining information-analytical bulletin» (GIAB) is the literary monthly included in VAK list about the mining. Thousands of authors publish their articles in it annually . GIAB gives the chance to scientists and miners to watch for scientific and industrial achievements of their colleagues, to participate in discussions. Special releases of GIAB both thematic or regional, and in various directions of mining sciences, pre-prints, series «Library of the head mining engineer» and «Library of the mining engineer» are periodically published. Size : 432 pages. Periodicity: 12 numbers per year. A book format: hardcover. Mineweb, is the best read mining news and investment site globally that covers every aspect of the industry. Updated around the clock. Written by a global team of reporters and analysts. Probably the most experienced team in the industry. Mineweb is entirely free to access and its editorial is independent. It therefore has a huge and loyal following from investors and from the industry. It is read in every country, territory worldwide over 2200 sites link into Mineweb and pick up its headlines. Popular features include podcast interviews with leading industry figures and intra-day market data including share prices. The Journal publishes materials on all types of minerals, oil, gas, coal, ferrous, non-ferrous, precious and rare metals, agrochemical and mining chemical raw materials, etc. The basic sections: the current state and development prospects of the mineral resource base in Russia (exploration and the resources base); economic policy and management of the mineral resource complex; legal support to subsurface use; mineral resources market; investment projects, equipment and technologies. Magazine ” Subsoil using – XXI Century ” highlights the most successful and effective solutions in the field of geological exploration, mining and minerals processing, comments on legislative and regulatory aspects of the subsoil. PRIME is a major information and analytical agency, which focuses on real-time distribution of financial and business information. PRIME’s key products include real-time newswires; feature stories; industry-specific newsletters; sections with trustworthy analytical reports and valuations on financial sector development, economic politics, business, and various economic sectors; and software for online electronic trading. The agency produces several specialized newswires in cooperation with Dow Jones Newswires. PRIME has developed its own database on Russian business entities, which includes information on 6 million companies, over 1,000 insurance firms, around 2,000 banks, as well as information on all Russian regions and 1,066 cities. PRIME is authorized by Russia’s Federal Service for Financial Markets for information disclosure. The agency also distributes official publications by the Central Bank of Russia. The number of visitors to PRIME’ Web sites amounts to about 10 million per year, generating over 50 million hits. «Rutoday.com» – Full and accurate news agency. The latest news of Russia,USA and the CIS. A variety of opinions about events in the world. A video-photo materials and blogs.In Russia and the USA «Rutoday.com» is known as one of the most popular sources in political and economic news. Our edition has the unique experience in sphere of gathering, processing and distribution qualitative and most trustworthy information, creations of unique technological decisions for our audience .At the same time our journalists work for us, which have their own sight at the events occurring round us. Nearby 30 percent of users of our site are foreign audience from USA, England, Canada, Germany, France, China and others countries. The «Vestsnab» Magazine has been a leading specialized industrial publication in Siberia since 2003. The magazine offers information about technologies, engineering solutions, novelties, as well as interviews with heads of industrial manufacturing plants and suppliers. The magazine’s readership includes: company owners, top managers, chief engineers, process engineers, market researchers, spare parts managers, manufacturers, distributors and administrative bodies. We are guided by the following principles: case-by-case approach, publishing articles on preferential terms and discount system. As South East Asia’s mining industry continues to develop and mature, more Canadian resource companies have taken the opportunity to explore and expand to this unique Asian financial hub. The Hong Kong Canadian Mining Association (HKCMA), a non-profit organization, is fully owned by and dedicated to its global members for such purpose. HKCMA’s mandate is to enhance the breach between the Canadian and Hong Kong mining industry and financial markets; as well as to act as a platform in connecting funds, projects, and talent together. HKMCA is also dedicated to facilitating the exchange of mining information, bridging gaps between business models, culture, and geographic differences between the East and the West; furthermore promoting Canadian mining companies in Hong Kong through various seminars, road shows, conferences etc. HKCMA always welcomes new members to become part of this exciting journey and make a difference in the mining industry in Asia.